Justin Bieber had a scary moment in his hotel room when a woman barged in and got busted for trespassing. 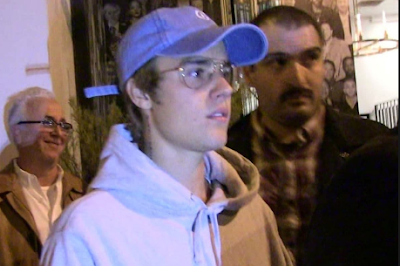 Justin was staying at a fancy hotel in Laguna Beach Tuesday afternoon when the crasher suddenly burst in according to law enforcement. TMZ sources say she'd been partying and roaming the hallways of the hotel earlier in the day, and security had actually escorted her off the property. She returned for some reason and walked straight into Justin's room. Seems like Biebs didn't panic ... he told the woman to beat it, and then his security stepped in and held her until cops arrived. TMZ was told she was visiting hotel guests Monday and spent the night in a room close to Justin's. Bieber just announced he's taking a break from music to focus on his family and his health. Uninvited hotel guests can't be good for his stress levels at this moment.